What Happened To The Australian Daybills? you beat me to that one, Pancho! 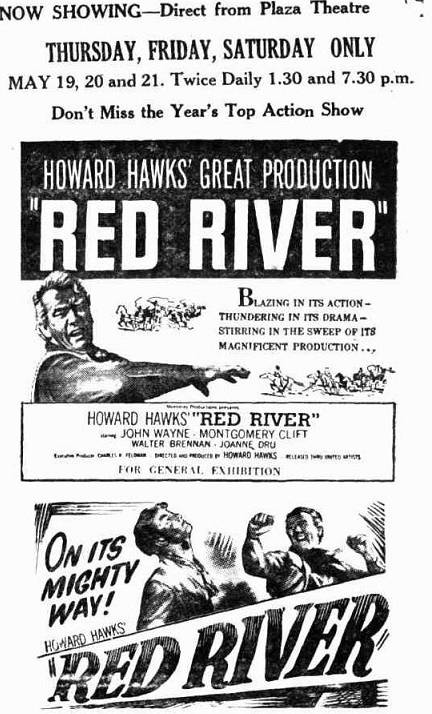 Red River ( 1948 ) U.S.A. inserts - two styles and a 1950's duotone re-release Australian daybill poster. Australian Newspaper advertisement from 1949 placed for the first release in Australia. 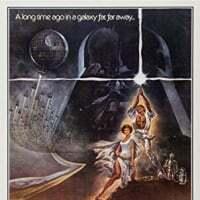 A classic film yet no Australian first release, most likely W.E. Smith daybill, or any other poster sizes. 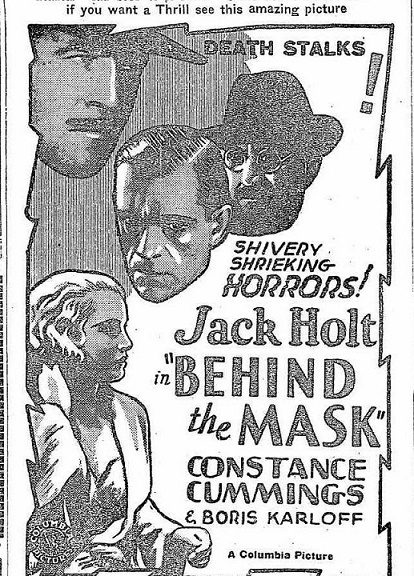 Nice newspaper advertisement submitted by Mark previously for The Hound Of The Baskervilles ( 1939 ). I will comment on Horror Express shortly. Regarding Horror Express, and before I comment further Pancho, would you please advise the printer's credit details on the above red background version, which is a little unclear? It appears is is also Robert Burton but done in a more hand written looking style. Love to be an image of the daybill Rick. Is it possible? Thanks Pancho for confirming the Robert Burton info. Cinecenta Films Pty. Ltd. was the distribution arm of the Canberra based The Cinema Centre Group who owned cinemas in Canberra, A.C.T. when Horror Express was released. As both daybills are almost the same and both were printed by Robert Burton and both released by Cinecenta Films, one would have to be first release and the second a follow up printing. 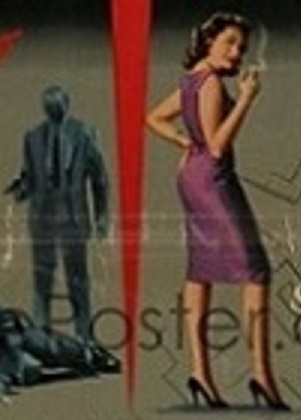 As I am not inclined to check out the timeline the two styles of Robert Burton poster credits were used, I am hoping someone else knows this information so we perhaps can narrow down which one came first and when roughly the other one was printed. Cinecenta Films also distributed films on 16mm, and when I was involved with a film society in Goulburn I hired from them direct a 16mm print of The Autobiography Of Miss Jane Pittman for screening at the film society. If it helps - although 'Horror Express' was made in 1972, it wasn't released in Australia until late 1975. 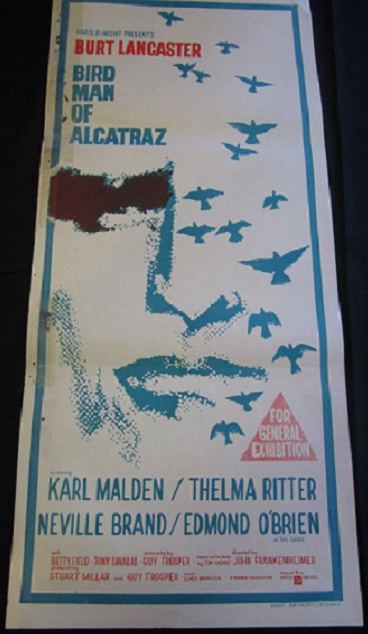 After years of never sighting a daybill image of Bird Man Of Alcatraz ( 1962 ), there are currently two different sellers with the poster up for sale. Here is an image of one of them. 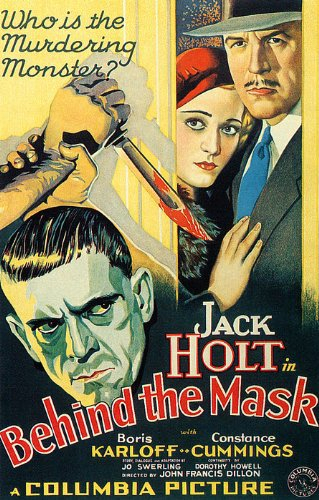 Behind The Mask ( 1932 ). Three great looking U.S.A. posters and a tame 1932 Australian newspaper advertisement from when the film was released here, with no bloodied knife or threatening skeleton skull appearing. Even the tagline on the advertisement is somewhat tamer than what appears on the U.S. posters. If an Australian daybill ever happens to surface I would think it would pale in comparison to the American artwork. An upgrade for The Ape ( 1940 ), first covered on this thread in November 2016. A U.S.A. insert and an Australian newspaper advertisement, this time with with images. With the two this may perhaps give us a clue to what the Australia daybill may have looked like. After I posted an entry on King Of The Zombies in November 2016, which included the following advertisement, a question was raided by Sven as follows.- '' Thx lawrence. I see dr cyclops in the clip. Has anyone sighted or now if the long daybill exists? Rumour has it at least one does exist''. In January 2017 I posted the following on Dr.Cyclops. Dr. Cyclops ( aka Doctor Cyclops ) ( 1940 ). Nice U.S. artwork and an Australian newspaper advertisement from the Australian 1941 release has me thinking what the Australian Richardson daybill may have looked like. An update now to answer Sven's question that he had asked in November 2016. 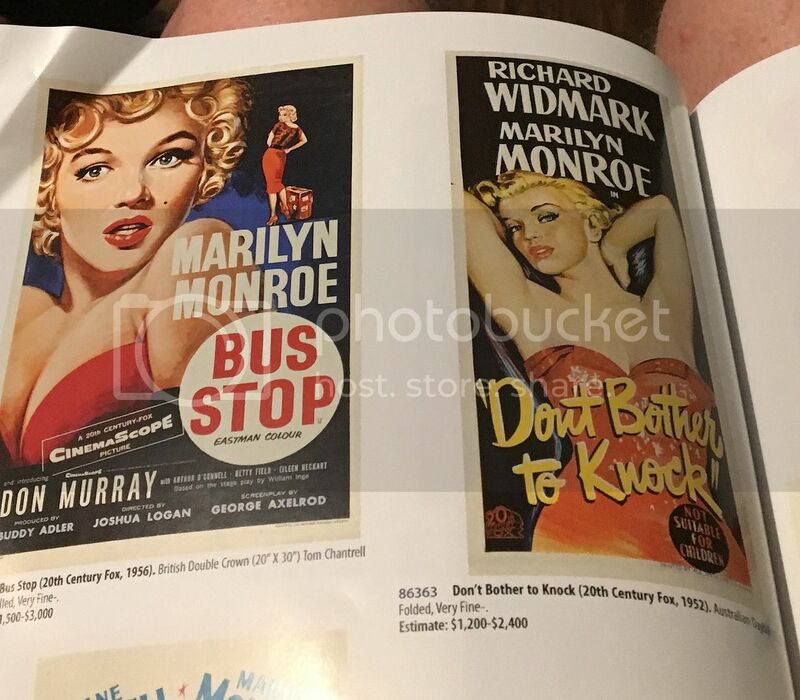 Some good news is that I have sighted a catalogue from the Hayden Orpheum Picture Palace Movie Poster Auction which was held on Sunday March 26 1995. Over 500 items were advertised in the catalogue. 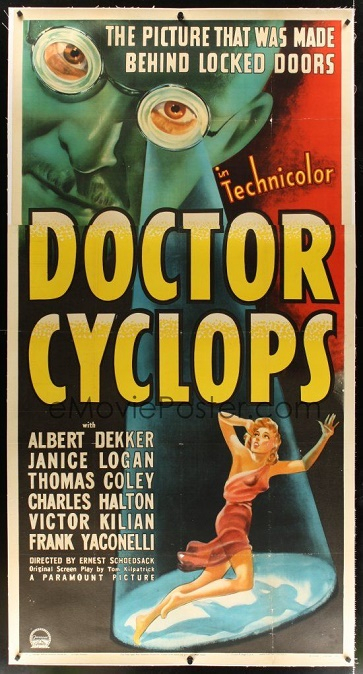 One of the posters was a daybill of Dr. Cyclops which was sold in a lot, along with The Incredible Shrinking Man. 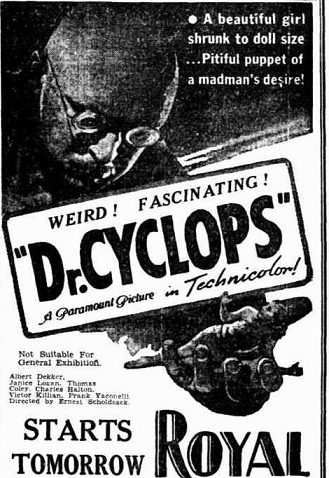 The image of Dr. Cyclops was printed in the catalogue very small and very dark. 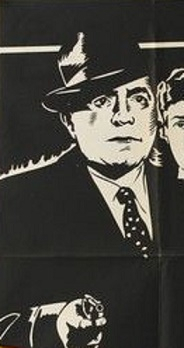 The poster appears not to be a long daybill. 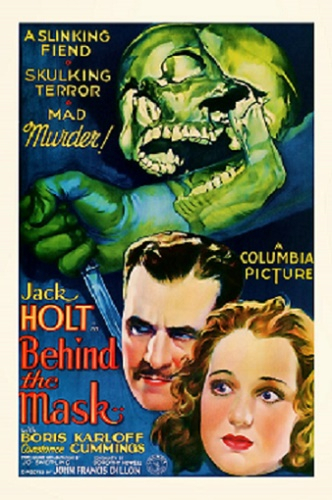 It may have been trimmed at the top or the fact the 1940 film was released in Australia January 1941 it may been one of the earlier new 13 x 30 size which came into being in this year. We need to keep in mind that the poster would have printed in late 1940. 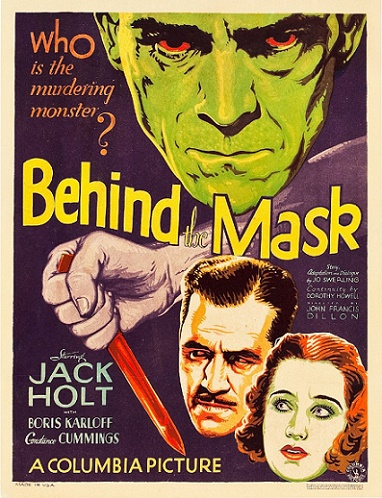 From what I can see the Australian daybill was copied from the U.S.A. similar 3 sheet and one sheet artwork and some other minor artwork from some other source, but not the U.S.A. insert. The U.S.A. insert, apart from the eyes, looks nothing like the daybill, except a slightly differently focused eyes. Picture this U.S.A. 3 sheet image, with a few extra action images placed either side of the woman, and you have a good IDEA what the daybill would look like. Great digging Lawrence! The 1990s would be been a superb time to pick up 1940s horror. Wonder when the next cycle will be! 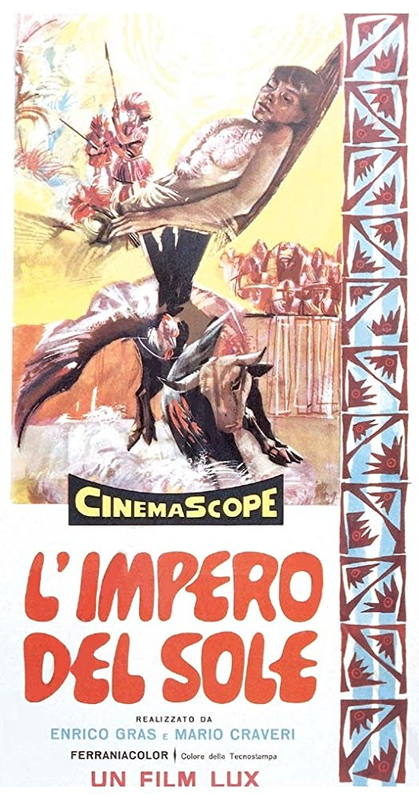 The Italian original poster title, which I am certain was from the original release and the only Australian material found. Something obscure this time. 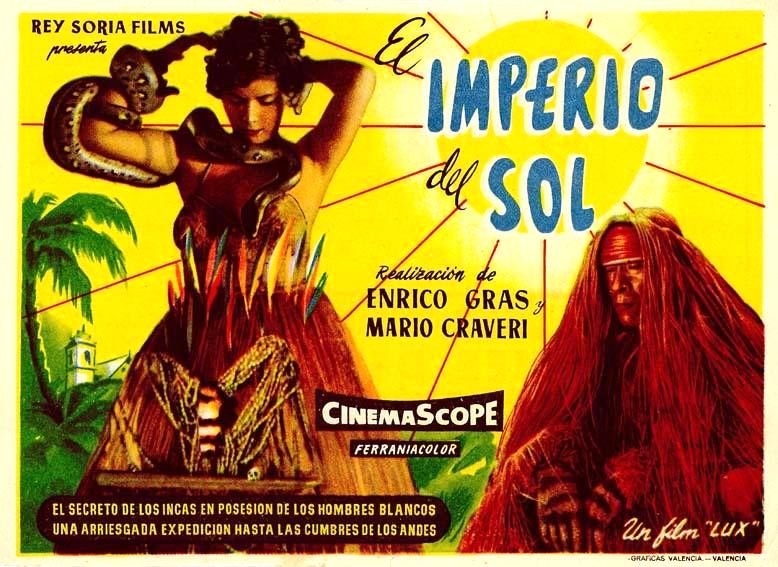 Empire In The Sun ( original title L' impero Del Sole ) ( 1956 ). Very limited distribution in Australia circa 1959 by an unknown distributor. The above newspaper advertisement is all I have been able to locate. 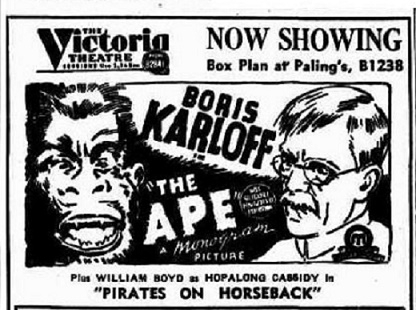 The advertisement was placed by a Sydney Suburban theatre owner in 1959. I would be certain that the film was released in Australia by a small independent film distributor, perhaps Astra, Ray Films of IFD, with the last two not far away from closing up shop. Not sure Chris as I haven't checked. I have listed some of the more rare posters included in the catalogue, which I have included in my ''Hondo's This And That Thread'', that was sitting in my drafts folder . Seeing you are interested I have dispatched it off. The catalogue I viewed didn't list individual posters as to if they were daybills or one sheets. A shame as the only entries one could work out the size of were from the very limited small and dark images.The majority of the 500 items were without an image. Only the Rodan! 3 sheet and some lobby cards appeared to have been listed as such. The limited number of images displayed had a majority of one sheets over the daybills. I made notes on some of the more significant catalogue entries, so if you are interested in learning more after reading the information on my "'Hondo's this and that"' thread, please advise me there. My Friend Irma ( 1949 ), Money From Home ( 1953 ) and Strange Intruder (1956 ) U.S.A. insert posters. 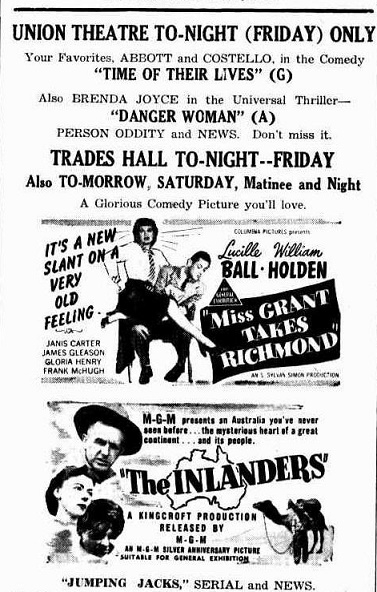 Three titles remaining in a dwindling number of 1940's and particularly 1950's Richardson Studio / Paramount Pictures Australian daybill images that we haven't sighted, to the best of my knowledge, previously. 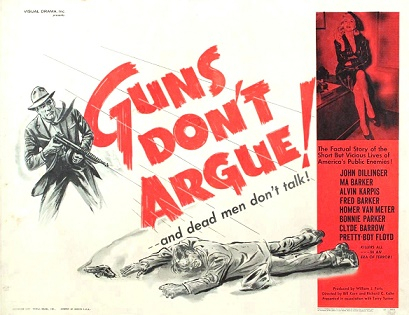 Coming next some very rare crime related films from the 1950's and the 1960's, mainly from the U.K., that were released in Australia without me every sighting a daybill or any other style of Australian paper. 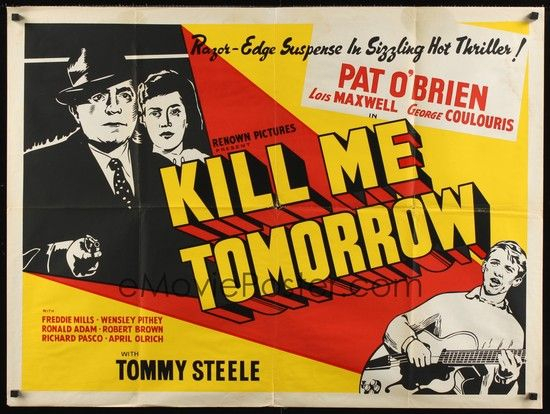 Kill Me Tomorrow ( 1957 ) A British film released in Sydney Australia in 1958 on a double bill with another U.K. Renown Pictures film Mother Riley Meets The Vampire ( 1952 ). 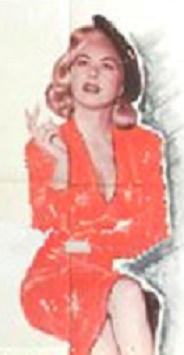 The Australian distributor was Ray Films. Although the Australian daybill for Mother Riley Meets The Vampire contains a small incorrect image at the bottom or the poster the artwork isn't too bad, so perhaps the missing Kill Me Tomorrow daybill was designed by the same poster artist. 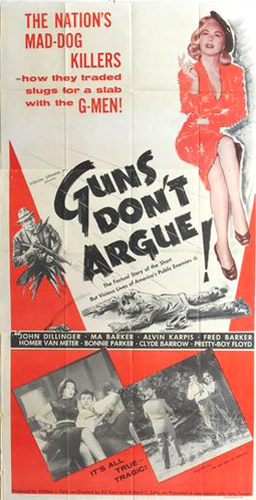 Guns Don't Argue ( 1957 ). A composite of three re-edited episodes from the 1952 U.S. TV series Gangbusters released there in theatres in 1957. The rights for Australia were held by RKO Radio and ended up being released here by MGM in 1960 after the remaining unreleased RKO product ended up with MGM in Australia. 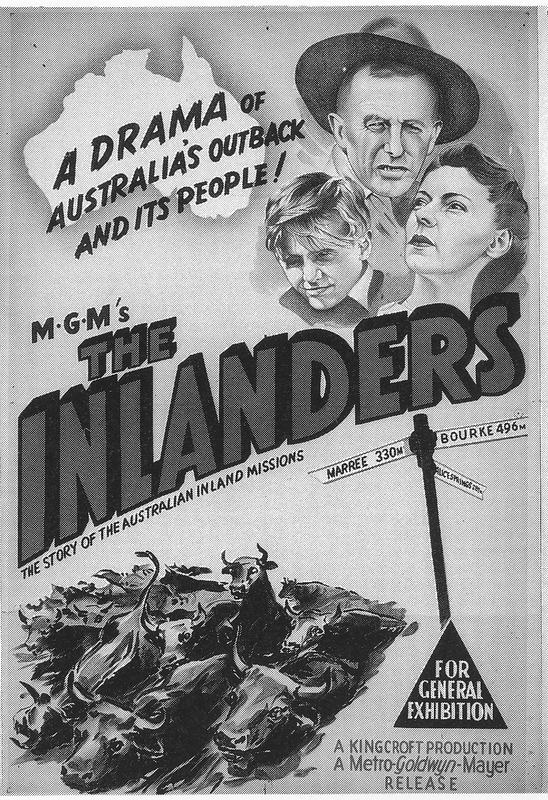 Historically important is the 56/57 minute Australian documentary The Inlanders ( 1949 ). Note the reference above in the 1949 Sydney Sun newspaper stating the running time was only 40 minutes. Most likely the film was edited, so the overall programme didn't run for what was probably thought to be too long. Incorrectly credited on IMDB as being released in Australia by British Empire Films, but one can see from the above 1950 Lithgow, N.S.W. 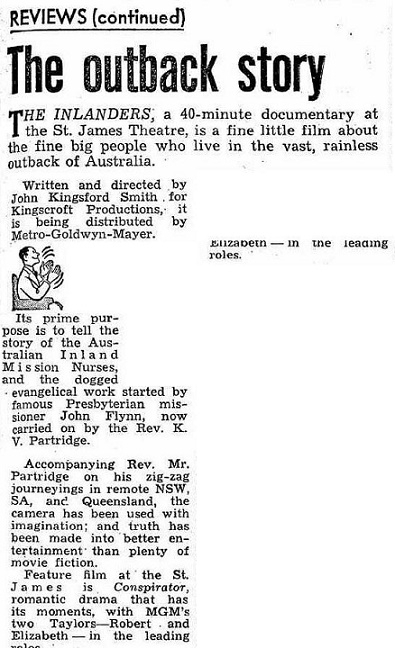 newspaper advertisement that the Australian distributor was MGM. Rare, but indeed an important missing daybill. 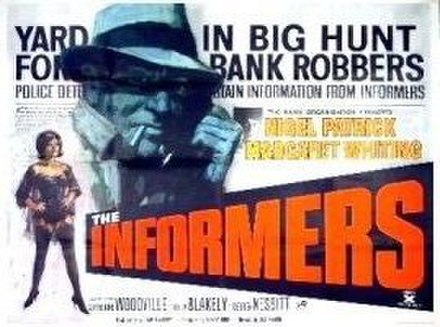 The Informers ( 1963 ). No Australian daybill sighted, but the New Zealand daybill image appearing above, along with the U.K. quad would surely indicate that the shadowy head image would be on the daybill. 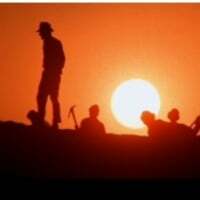 The film was released in Australia by BEF only in 1966. Some censorship problems perhaps causing the delayed release here. 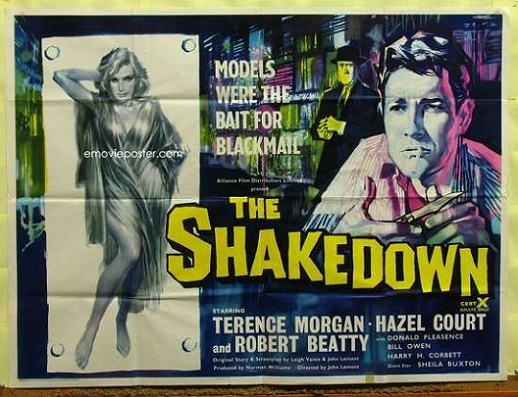 Original release The Shakedown ( 1960) U.K.quad. The Shakedown re-titled as The Naked Mirror Italian locandina. The Naked Mirror ( aka The Shakedown ) ( 1960 ) was released in Australia in 1962 by BEF. Possibly some censorship problems here delayed the release here as well as The Informers. I am aware there is a daybill existing for this title but I am unable to access an image. The Purple Gang ( 1959 ). An original U.S.A. insert and our New Zealand neighbours International Films daybill version. 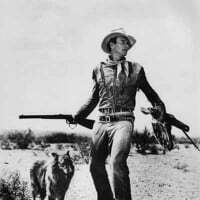 The film was only released in Australia by Paramount Pictures in 1961. Does anyone have a copy of the daybill ? 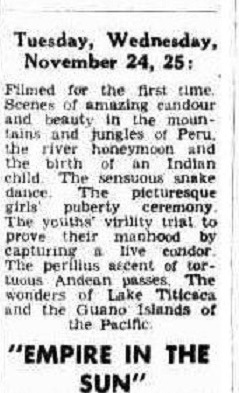 Not sure in this case the delay in being released here was anything to do with censorship, but more with the large backlog of Allied Artists product Paramount acquired in 1958 in Australia, that had to find release outlets along with their own ''official'' Paramount owned releases as well. I thought we had The Purple Gang posted already...David I think...I could have sworn I have seen a daybill for The Informers...and if anyone has a daybill for Shakedown, surely its Chris??? God dammit I need that Purple Gang! I think the Purple Gang were the Bernstein Brothers, in Detroit during Prohibition. Nice poster, Ves! Checked out The Purple Gang image and found that you had originally posted a small image in January of 2017 on another thread, which was later removed by Photobucket, and the large image you have just posted was originally posted by David, also in January 2017. I apparently didn't save a copy at the time of David's image and had since slipped my mind. 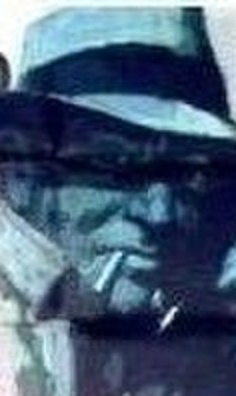 Could the daybill image you thought you have seen of The Informers been the same New Zealand duotone version I included here on the thread instead, which was originally posted by Wil on the February 2017 thread? Remember that The Shakedown ( 1960 ) film Australian daybill was titled The Naked Mirror here in Australia..